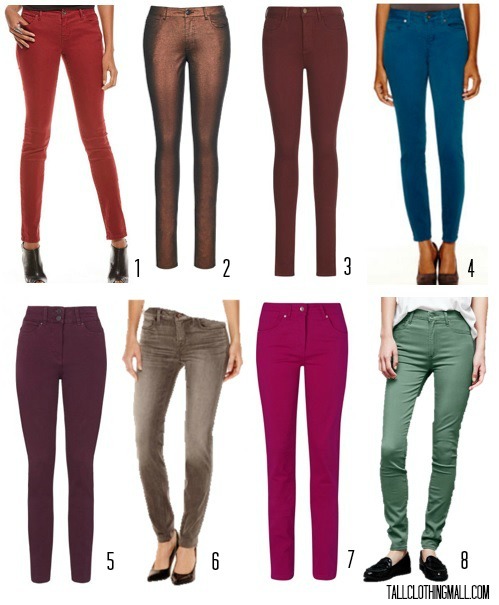 A bit ago I reviewed tall colored pants so I thought I’d follow that up with a round up of a few pairs I’ve been eyeing. And by “a few,” I mean 10 that I narrowed down to 8. There are various shades, inseams, and fits but they are all tall colored (no blue denim!) bottoms perfect for the fall and winter months. Enjoy! Click number for source: 1. 2. 3. 4. 5. 6. 7. 8.